CETA and other trade agreements could be one of the biggest threats we have seen of water commodification and privatization. Although, the European Commission always maintained that water would be excluded from the treaty,a careful reading of the final text of CETA shows that the reality is different. Food & Water Europe along with the European Water Movement published a guide which gives comprehensive answers to all the main issues relating to the negative impact that CETA agreement could have on water, such as: the article that refers to water and water services, how CETA can increase the pressure to privatize water management, why water services are not protected by the horizontal “Public utilities exemption” or the problem will be encounter for public authorities to return water management of water and sanitation services into public control. This guide is a helpful tool to all those people who are campaigning against CETA. 1. Are water and water services included in the treaty? Yes, in article 1.9, “Rights and Obligations Relating to Water”. The article, written in fuzzy legal terms, states “water in its natural state […] is not a good or a product […] Therefore, only Chapters Twenty-Two (Trade and Sustainable Development) and Twenty-Four (Trade and Environment) apply to such water.” The problem is that almost all water uses (drinking water, sanitation or agricultural irrigation) involve water extracted from its natural environment. It could, therefore, be considered as a good and a product, and could be treated as a commodity and therefore subject to CETA. The article adds: “Where a Party permits the commercial use of a specific water source, it shall do so in a manner consistent with the Agreement” without clearly defining what is a “commercial use” for water or a “specific water source”, which might open the door to further water commodification for example by influencing how water rights are granted by the authorities. Under CETA, water rights can be turned into “investment” (see question 8). 2. Can CETA increase the pressure to privatize water management? It could in the case of drinking water provision, and it would definitely do for sanitation. CETA is the first free trade agreement negotiated by the European Union that includes a negative listing approach to protect public services. Under this approach, everything that is not listed is affected by the treaty (this is known as “list it or lose it”). There are two annexes where you can list exemptions: Annex I, for measures (laws or administrative practices) that violate obligations of the treaty, and Annex II, to include existing and future measures. Regarding drinking water services, the EU took reservations on “Market Access” and “National Treatment” for “Collection, purification and distribution of water” services, as indicated in Annex II, “Reservations for Future Measures”. However, only four reservations together: “Market Access”, “National Treatment”, “Most Favoured Nation” and “Performance Requirements” can guarantee that a service will be excluded from CETA’s mechanisms in all cases. For example, the last services proposal from the EU in TTIP includes reservations on “National Treatment”, “Most Favoured-Nation”, “Performance Requirements” and “Senior Management and Board of Directors” for “Collection, purification and distribution of water”. We see no reason why these reservations are needed with the US, but not with Canada. Also, it should be noted that even if drinking water services are included in Annex II reservations, investment protection applies to them. Regarding sanitation, only Germany can apply a “Market Access” reservation for the services of “Sewage, refuse disposal, and sanitation.” That would imply the inclusion of those services under the CETA framework for the rest of the EU member states, in contradiction with Article 12 of the EU Concessions Directive, which lay down that the Directive shall not apply to concessions awarded to the disposal or treatment of sewage. 3. Are water services protected by the horizontal “Public utilities exemption” as claimed by the European Commission? According to a study commissioned by the European Public Services Union and the Austrian Chamber of Labour, there are several challenges in this clause, one of the most important instruments of the EU in the context of trade agreements. The model of protection applied by the EU doesn’t include investment protection. Terminology is quite ambiguous. Terms like “public utilities” have no specific meaning in international law, and no equivalent term in EU law. Also, the Public Utilities Clause only protects from “market access” but not from “national treatment”. So foreign companies with subsidiary in Canada must be granted all the rights that domestic companies have as soon as they have a subsidiary in the EU Member state. The European Commission claims that this model offered “20 years of protection that works”. And it is correct to state that so far trade agreements have not formally prevented Member states from providing public services, like water. But, following the conclusions of Professor Krajewski, we cannot ignore the regulatory chill effect of these agreements, as governments, when engaging in policy reforms for public services may take their trade obligations into consideration. Also, the fact that there have not been disputes filed in this area doesn’t mean that they won’t happen in the future, as this model has never been put to a real test. This model works since the GATS agreement in 1995, and since then, the EU has signed trade agreements with developing countries and emerging markets (Mexico, Chile, South Korea, Peru…). None of them were significant commercial suppliers of public services with a market access interest in the EU. This is not the case with Canada, and won’t be the case with the US for TTIP. For sanitation (sewage treatment), there is only a German reservation and the general “Public Utilities Clause” which mentions environmental services, which contain sewage treatment. The question is what happens in this contradictory case where there is a general protection under the “Public Utilities Clause”, while there is a sector-specific liberalisation of the sector “environmental services”. Usually special law is regarded as stronger than the general law. The German Association of Public Water Operators still find another loophole that could impact both drinking water and sanitation services, as this would be the first time this “Public Utilities” clause would be put in the framework of a negative list agreement. 4. Can CETA be a problem for public authorities to return water management of water and sanitation services into public control? Yes, with three main concerns, regulatory cooperation, the ratchet effect and investor-state arbitration (known as ISDS or more recently under the name of ICS). There is a regulatory cooperation mechanism in CETA, and in other free trade agreements. Regulatory cooperation offers a framework for analysis of current and future legislation in terms of their impact on trade and investment. For example, transnational companies could give their negative opinion to any progressive legislative reform that could impact their interests. Linked to the risk of being taken to a private investment tribunal (ISDS/ICS), regulatory cooperation could block the debate and approval of legislation and measures of general interest in the field of public services, human rights and water rights abstraction, and even to weaken current legislation. Under these free trade agreements, once a sector is liberalised and not listed in Annex II, there is no way back (this is known as ratchet mechanism). Changes are allowed only if they are less restrictive than the measure listed. We have examples of this ratchet effect in other free trade agreements such as NAFTA. Notable is that the European Parliament has rejected such ratchet mechanism in its resolution regarding TiSA. Investor-state dispute settlement (ISDS) is one of the most worrying aspects of this latest wave of trade agreements. Under this mechanism, foreign companies can use private tribunals to sue governments if they deem that their profits or investment potentials are being affected by new laws or changes in policy. ISDS gives companies the power to contest — and potentially reverse — government decisions, and to seek compensation, possibly in millions of Euros. Although in the last version of CETA there is a reformed version called ICS, analysis have shown that the worst effects remain the same. Several cases, like the Argentinian ones mentioned in question 5 show how when a public authority take back water management under public control, even after a breach of the contract from the company side, the company can go to private arbitration to get a compensation. 5. Are there ISDS cases so far that affected water and water management? There are several cases in which public authorities have been taken to private arbitration tribunals by companies for water-related disputes. Argentina, for example, has lost three cases against international investors when the country sought to take back water companies into public hands. Argentina had to pay $105 million to Vivendi (now Veolia) after authorities terminated Vivendi’s contract to supply water to Tucumán province when the company increased water rates by 104% and failed to invest adequately in the system, resulting in low water quality. Argentina also lost a case against Azurix (an Enron subsidiary) and had to pay the company $165 million when a water workers’ co-operative took over drinking and wastewater services in Buenos Aires Province after the company withdrew from the contract. Argentina lost a third case against Suez, AGBAR and Vivendi after the city of Buenos Aires opted to remunicipalise its water company because of concerns about water quality, lack of wastewater treatment and mounting tariffs. Actually, just a simple disagreement on tariff increases has been reason enough for a company to take a government to court. The private water company in Tallin (Estonia), Tallinna Vesi, brought a claim against the Estonian government using a bilateral investment treaty (BIT). Tallina Vesi is owned by United Utilities, a UK company registered in the Netherlands. They used a bilateral investment treaty between Estonia and The Netherlands to bring a claim against the Estonian government. The company claims that Estonia breached the “fair and equitable treatment” standard of the BIT in refusing to allow the company to increase tariffs, and ask for 90 million for projected total losses over the lifetime of the contract. 6. Could CETA be a problem for current public water public companies? Utility companies, like the Stadtwerke Karlsruhe, a mostly municipally-owned utility company in that German city, consider it could be. According to their analysis, in CETA water rights are generally treated as investments, and would therefore be subject to the investment protection of CETA, which would grant extra rights to foreign investors, unlike investors just operating domestically like Stadwerke Karlsruhe. Problems could start as soon as a foreign investor starts competing for a specific ground water source which is already used by them (a scenario they consider quite realistic). Another potential conflict would be on protection zones, if a foreign investor regarded its own investment inside that zone. Problems might also arise as Stadtwerke Karsruhe needs to follow CETA procurement law, because investment protection in CETA would allow unsuccessful tenderers to invoke extra investment protection standards. The Association of German Public Water Companies goes beyond. 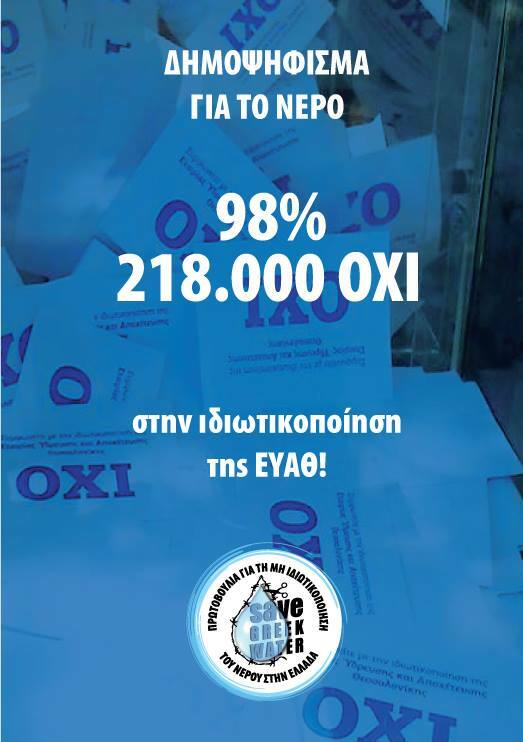 According to their analysis, the reservations applied by the EU to “Collection, purification and distribution of water” don’t cover all their activities, present and future. Because of the negative list approach in CETA, it doesn’t protect their capacity to develop activities like increasing their energy self-sufficiency or recovering and reusing materials inside sewage water. These activities are included under German law as new targets for water provision. Under the framework of CETA, public water operators would need to open these activities to the market and to foreign investors. This association also complains that the water legislation in the EU and member states has not been listed in annex I, which could mean that current measures and regulations to provide a public water management could be put into question. They also fear that the Public Procurement chapter would limit their ability to work with other municipalities in a cooperative, and not competitive way. 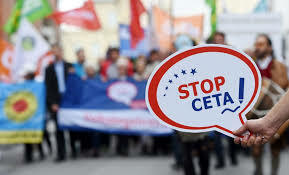 CETA’s lack of precautionary principle approach, which is an inherent component in EU law and the cooperatory regulation, which possibly could exert influence on decisions of the parliaments in the EU and EU member states, is another concern regarding health, environment and water resources protection. 7. 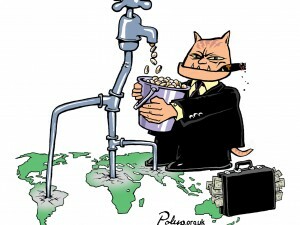 Main private water companies are European, it this not more a problem for the Canadian side? Yes, it is a problem for Canadian public water systems. But Canadian and European companies in the water sector are subsidiaries of the same multinational companies (such as Veolia, Nestlé, Suez or Coca-Cola). CETA, or TTIP, would offer these multinationals a great opportunity to get their hands on water and water-related services, to the detriment of people living on both sides of the Atlantic. CETA would grant special rights to foreign company and investors, but not only from Canada. For example, of the 51,495 US-owned subsidiaries currently operating in EU member states, 41,811 are owned by US parent companies that also have subsidiaries in Canada. Any of these firms could be used as the basis for an ICS case. That could also work the other way, through European-owned companies with subsidiaries in the US or Canada. A clear example of how ISDS/ICS works beyond any borders is the Estonian case mentioned above, in which a UK company operating in Estonia used its Dutch subsidiary to take the Estonian government into private arbitration using a bilateral investment agreement between the Netherlands and Estonia. 8. Can CETA impact water as a natural resource, and its different uses in agriculture and industry? There is a shared fear that CETA would further push for a corporate water grabbing in Europe and a further water commodification. On one hand, article 1.9 states “Where a Party permits the commercial use of a specific water source, it shall do so in a manner consistent with the Agreement” without clearly defining what is a “commercial use” for water or a “specific water source.” If we take into account CETA’s definition of investment on page 39, it includes “Forms that an investment may take include:” (…) “an interest arising from:” (…) “a concession conferred pursuant to the law of a Party or under a contract, including to search for, cultivate, extract or exploit natural resources”. It is hard to predict consequences of these provisions, but it subjects water rights to CETA trade and investment rules. Especially the extra investment protection standards (“fair and equitable treatment” and “indirect Expropriation”) for foreign investors could have a strong influence on the way water rights are granted by authorities and limit their possibilities to deny water rights once they have been granted to foreign investors. This could open the door to an indirect form of water grabbing. There are several cases of investment protection in other treaties (NAFTA, Energy Charta) where water rights have been issue of an investor-state-dispute. They have resulted in a settlement in favour of the suing company. There are no proper protection for water rights in CETA (understanding by water rights the right to extract or divert water, the right to use water or water taking permits) where there is commercial use. That would heavily impact European agriculture and many industries. Under these conditions there is no other way to read article 1.9 as anything but one additional tool to move towards an increased water commodification. It wouldn’t be the first time that the European Commission tries to introduce market mechanisms in water policy. For many years they have been pushing for water commodification, through water pricing and water markets. The idea that water rights should become tradable on behalf of economic efficiency is a neoliberal mantra that finds echo in many European institutions, and has been experienced in Spain, Australia or California. Currently it is up to Member States in Europe to allocate water abstraction rights and they do so by different criteria, but not with criteria based on trade and investment that can be found in free trade agreements. But if water rights are tradable, regulation over this trade falls under CETA. While the State might keep the ownership and manage the allocation, water rights would be freely tradable with no further public intervention beyond, perhaps, a market regulator. NOTE: The term “concession” in the EU is referring to something much more specific, it is a “services concession” for being allowed to supply a city with water. Water rights are something separate and refer to water resources as such – no matter if for public, non-profit, commercial, private purposes. Stadtwerke Karlsruhe, 2016, op. cit.